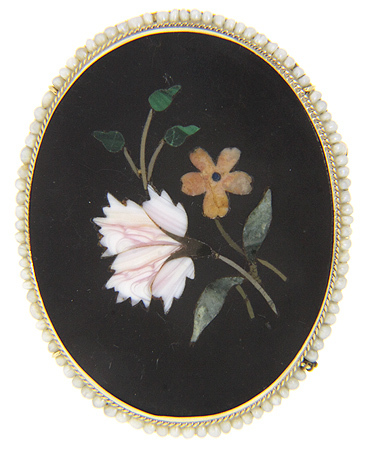 A lovely pietra-dura flower design decorates this amazing antique pin and pendant combination. 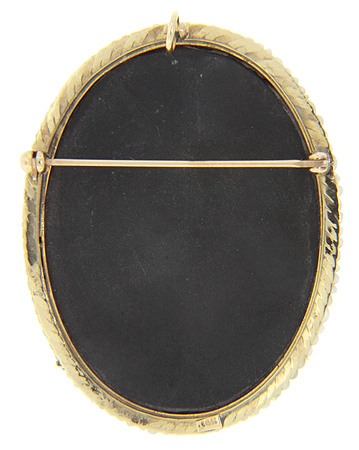 The frame of the Victorian piece is crafted of 14K yellow gold and ring of pearls delineate its edges. The pin/pendant measures 2” in height by 1 1/2" in width. Circa: 1880.